On December 27th, it was finally made official that the popular 'SPEC' series - starring Kase Ryo and Toda Erika will be spawning another movie named 'SPEC~Close~' in the fall of 2013. Moreover they announced that there is going to be another TV drama special titled 'SPEC~Zero~' around the same time. 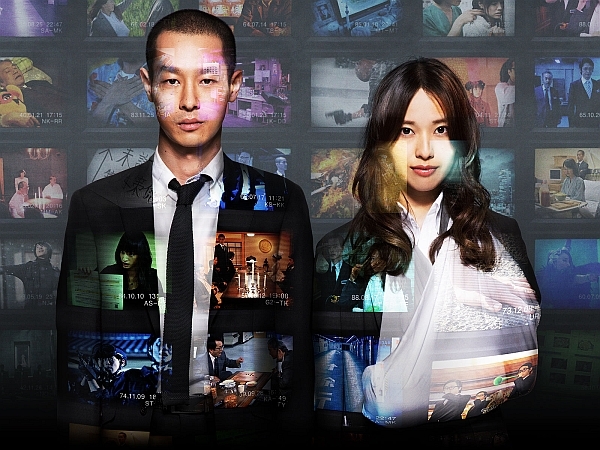 'SPEC' is about the two special detectives Toma Saya (Toda) and Sebumi Takeru (Kase), who deal with various minor and large-scale cases that are related to people with SPEC (special abilities). Their unique personalities and the exciting main plot has turned the series, including the TV special and the movie, into a huge success. After the release of the movie 'SPEC~Ten~', there have been many rumors about a possible continuation or maybe even a completely new and third iteration in the actual 'Keizoku' series. Many surveys showed that fans definitely want the series to continue and things seem to have been in set in motion when the first talks about 'SPEC~Close~' began appearing on the official Twitter of the popular TV drama 'ATARU', which often featured cameos of the 'SPEC' protagonists. In the concluding chapter of the series, Toma and Sebumi are going to face their strongest enemy that is plotting to destroy mankind. Of course it will also further explore the deep relationship between the two of them. Since it's once again an original creation by director Tsutsumi Yukihiko himself, there are not yet many more details known about the finale. However, the producers already confirmed even before the filming that this is definitely going to be the final chapter in the series. TBS producer Ueda Hiroki stated, "We are planning to create a worthy final chapter and no matter how successful it's going to be, there won't be a continuation after that." The filming for the movie will begin in February next year. Toda commented, "I'm very grateful that we've managed to reach the final chapter. I'll work my hardest in order to make you all enjoy it from the bottom of your hearts." Kase added, "Whether you like it or not, this is going to be the last chapter. Together with Toda, I'd like to use up all of my strength for this." As mentioned above, there is also going to be another TV drama special around fall 2013. The title 'SPEC~Zero~' already hints that this is basically going to become an 'episode 0' of the series, which is going to further explore the secret behind Toma's left hand and her past. The filming for this special is already underway.